Tintern is set in a wonderful landscape which is home to an amazing variety of wildlife and offers great opportunities for outdoor exploration. 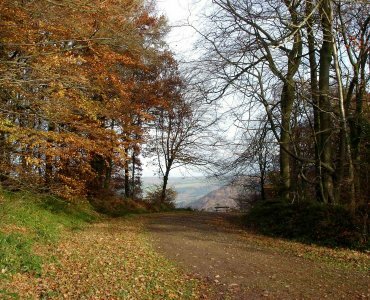 The Wye Valley Area of Outstanding Natural Beauty (AONB) is an internationally important protected landscape straddling the border between England and Wales. It is one of the most dramatic and scenic landscape areas in southern Britain and is important for its rich variety of wildlife habitats. The River Wye (Welsh: Afon Gŵy) is the fifth-longest river in the United Kingdom. The upper part of the river passes through the settlements of Rhayader, Builth Wells and Hay-on-Wye, but the area designated as an AONB surrounds only the 72-mile stretch lower down the river, from just south of the city of Hereford to Chepstow. The walks in this guide are designed to showcase the variety and beauty of the Wye’s changing landscapes. From the high moorlands of its source, to the sprawl of the Hereford plain and then into the ancients forests and steep gorge in the Lower Wye’s AONB. The River and its lands have a long history, from the Neolithic to the present, so any walk exploring this ancient border region is full of historical, as well as scenic interest. Not to mention the wildlife and flora along the way; red kites in the Upper Wye, otters downstream, with world-renowned woodlands shading the river banks. Alongside detailed route descriptions for every walk, are annotated OS maps, as well as key information on timing, distance, ascent, where to park and public transport access. In addition, the guidebook provides a range of advice on getting to and around the Wye Valley, where to stay and what to take to make the most out of your walks. The information on the geology, history and points of interest along the way are designed to enhance any walk, whether its a full day in the Upper Wye’s Cambrians or a leisurely valley wander. 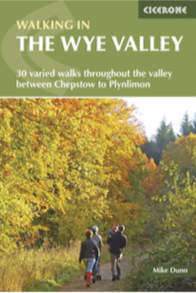 The result is an ideal companion to exploring the impressive range of walking the Wye Valley can offer. The following links to external sites provide an introduction to the rich variety of outdoor activities and wildlife in the area.